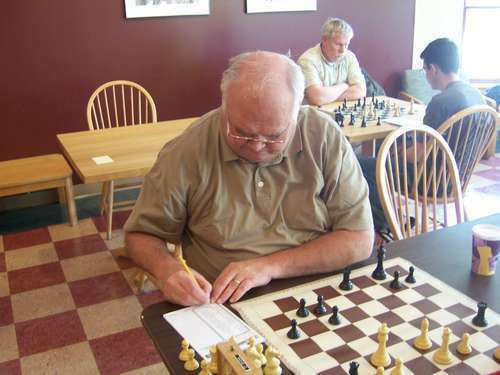 07.09.07 The Triple Seven Open and Rated Beginners Open (RBO) played on July 7, 2007 at Southern Maine Community College in South Portland attracted thirty-three players with ratings from 2304 to 320 as well as three unrated players. 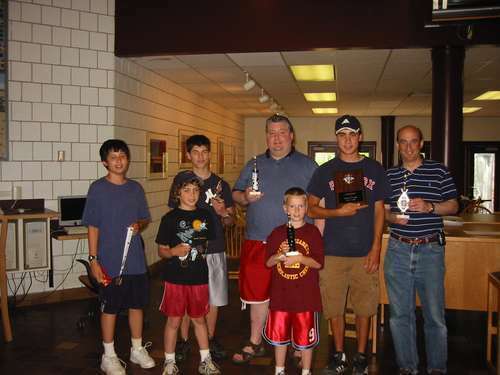 In the Open section, New England chess legend John Curdo shared first place with Massachusetts resident and expert player Andrew Tichenor. 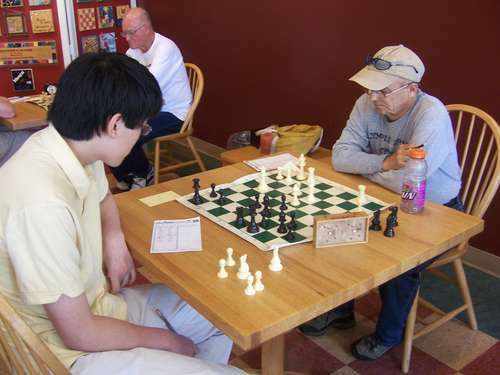 In the Under 1600 section, third seed Denis Nadeau of the Saco Valley Chess Club was the only player in any section to go unbeaten and untied. The RBO (Under 1200) section saw a four-way tie for first between Kris Fecteau, Scott Overlock, Dan Fishbein and Jack Demeter. Here's the illustrated tournament report with crosstables. 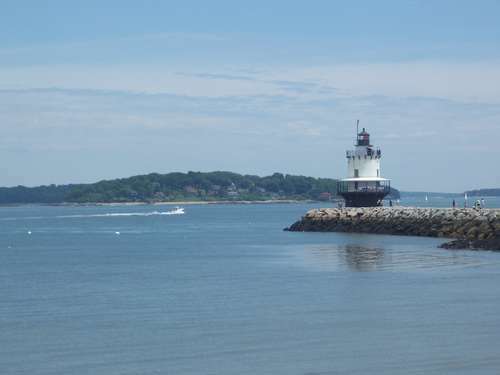 Spring Point Lighthouse in South Portland (known to locals as the spark plug) and Casco Bay provided the backdrop for the Triple Seven Open at Southern Maine Community College on July 7, 2007. John Curdo and Andrew Tichenor matched each other measure for measure throughout this four-round tournament right down to their third round draw. In the final round, Curdo beat Barry Magda (1641) and Tichenor did the same to Ruben Babayan (2035) to give each player 3.5 points. That was more than enough to share first as the player in the next scoring tier, Derrick Crocker (1622), was a full point back at 2.5. 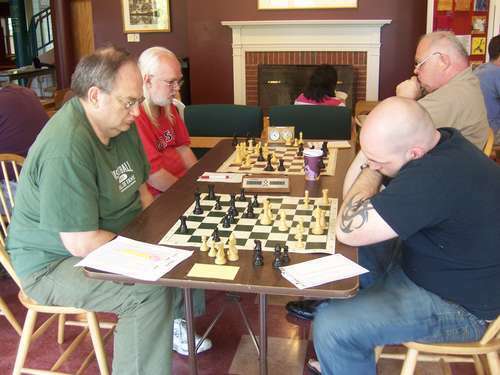 After Crocker, three players: Ruben Babayan, Paul Robida (1700), John Brady (1687) and Barry Magda (1641), tied for fourth with 2 points. In the Reserve section (U1600), Dennis Nadeau took them as they came and scored a perfect 4 points in four rounds. 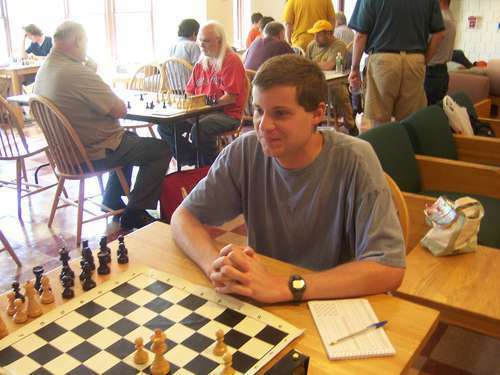 Nadeau has come back to tournament chess in 2007 after previously limiting himself to match and club play only. Following Nadeau's 4 points were Max Berube (1166), Bruce Sherewood (1085) and Nicholas Parsons (UNR) all with 3 points. 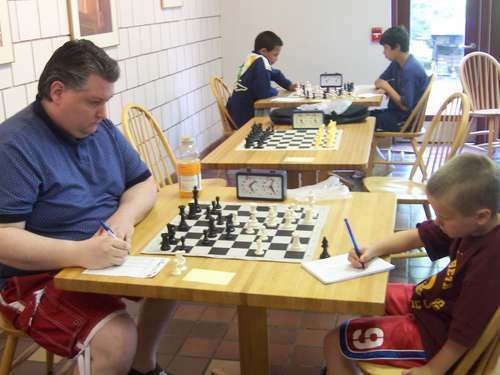 A four-way log jam resulted in the Rated Beginners Open section (U1200) between Kris Fecteau (1002), Scott Overlock (1037), Daniel Fishbein (849) and Jack Demeter (403). Following the leaders were Brandon Greaton (943) and Robert Freccero (886) with 2 points. 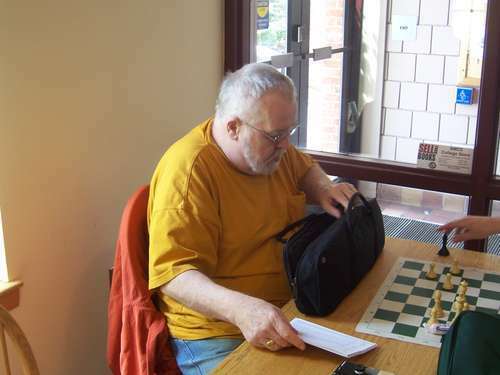 The tournament was organized and directed by Phil Lowell. 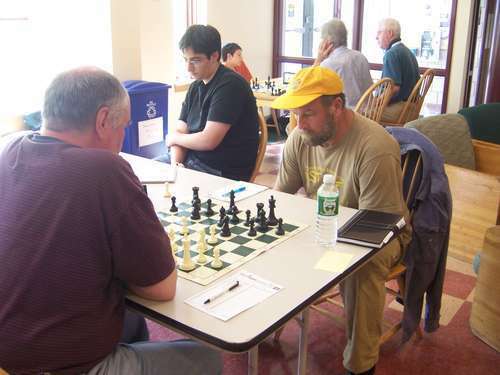 Tournament winner John Curdo (right) on the move with the black pieces vs John Brady in round one. 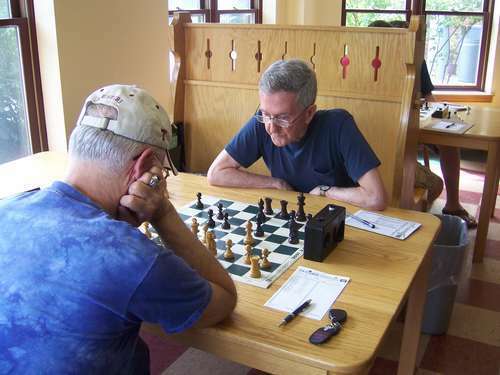 Tournament winner Andrew Tichenor (left) pulled this one off vs Ruben Babayan in the final round to score 3.5 points. Derrick Crocker (right) earned his third place finish with help from this first-round victory over Paul Robida. In the background, John Burke (right) takes on Frank DiRenzo. 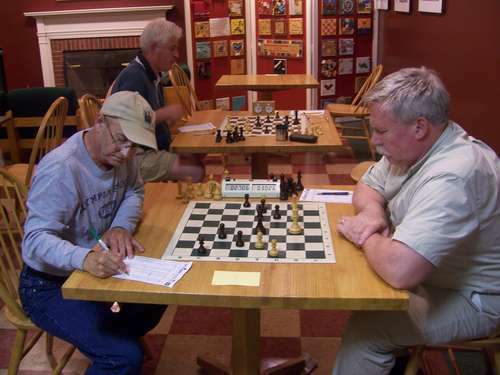 Barry Magda (right) won this game vs Richard Harry on his way to 2 points and a tie for forth place in the open section. 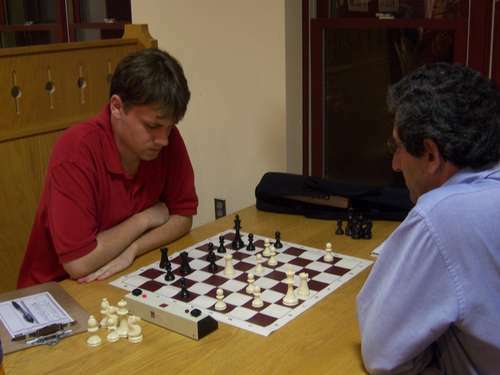 Denis Nadeau (left) simplified to this pawn-up endgame to beat Lee Doucette in the final round of the U1600 section for the only unbeaten and untied performance of the tournament. 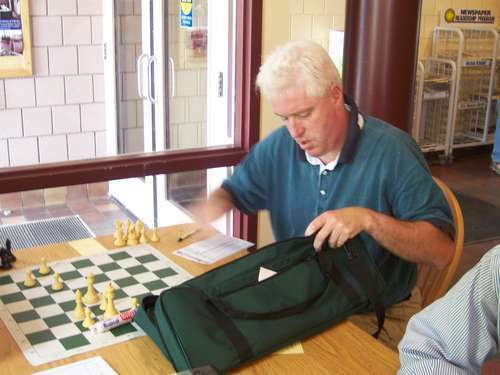 John Burke using the black pieces in round one to beat top-seeded Frank Direnzo. 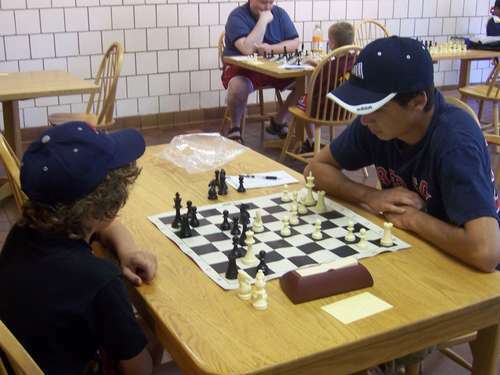 Up-and-coming talent John Soon (left) battles Dennis Nadeau in round one of the U1600 section. 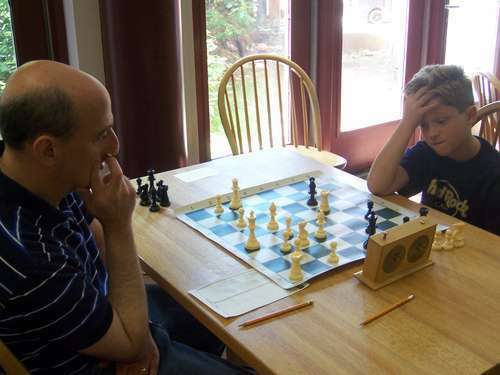 Kris Fecteau (right) plays Matthew Reale-Hatem in round one of the RBO. 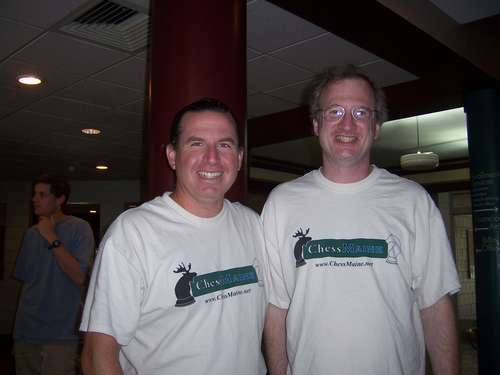 Dan Fishbein (left) who is playing Michael Adams (not the British Super GM) in the first round. 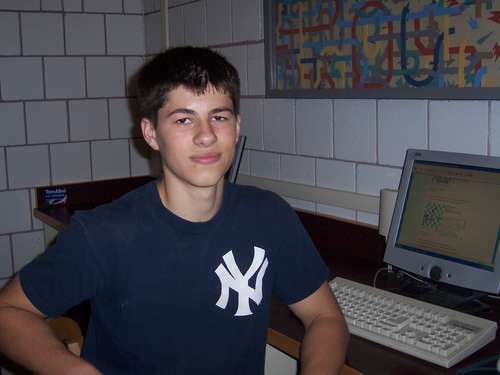 Brandon Greaton checking out the USCF website between rounds.